By buying this product you can collect up to 139 loyalty points. Your cart will total 139 loyalty points that can be converted into a voucher of ₹ 139.00. 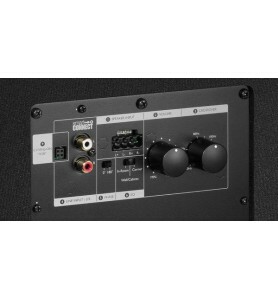 Choice of two colours to help you create a high quality home theatre. The NS-F71 floorstanding speaker will form the core of your home theatre, extracting every ounce of quality from your HD sources to let you enjoy rich, immersive sound with any media from movies to music. Its stylish design features a two-tone cabinet finish and iconic trim ring. One rank up from the NS-P51 speaker package, take your home theatre space upscale with the NS-F71. The NS-F71 is constructed in a 2-way 3-speaker configuration consisting of two 16cm (6-1/2”) cone woofers and one 3cm(1”) soft dome tweeter. 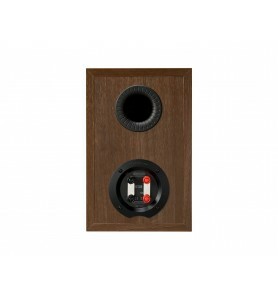 Each speaker unit features a newly developed trim ring. In the tweeter it suppresses unwanted vibration for tighter and more precise treble. In the woofers, its inclined shape helps create bass that you can feel spreading to every corner of the room. The large body cabinet takes advantage of its full 97cm(38-3/8”) height to realise powerful bass tones beyond its class. The uniform acoustic characteristics of the high-rigidity MDF materials used in its construction eliminate excess vibration to produce clear and crisp sound free from cabinet resonances. The high texture wooden speaker cabinet features a beautifully glossy black front baffle, and each speaker unit’s dignified and noble appearance is enhanced by the addition of a metallic silver ring to the glossy black surface.